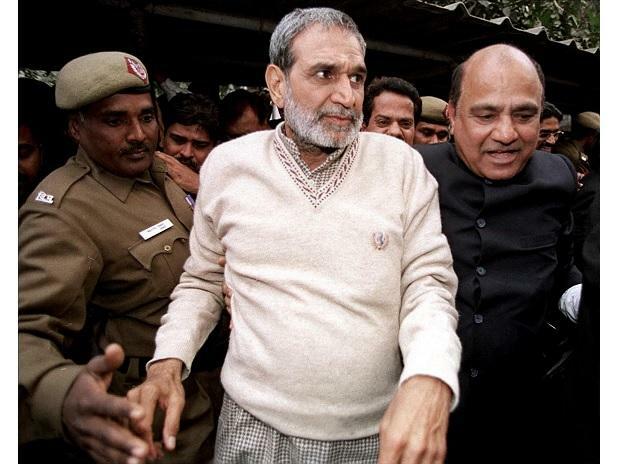 Congress leader Sajjan Kumar on Thursday appeared before Patiala House Court for hearing in the 2nd case registered by CBI on the recommendation of Nanavati Commission. Kumar is facing trial on charges of murder and rioting in 1984 anti-Sikh riots case pertaining to killing in Delhi's Sultanpuri. The second case against Kumar was filed by the Central Bureau of Investigation (CBI) on the recommendation of the Nanavati Commission. The court today adjourned the matter for hearing on January 22. Earlier this month, on December 17, the Delhi High Court, while hearing the first case, convicted and sentenced Kumar to life imprisonment. During Monday's ruling, the bench of Justices S Muralidhar and Vinod Goel asked the 73-year-old former Member of Parliament (MP) to surrender before December 31. The Court also directed him to not leave Delhi and levied a fine of Rs 5 lakh on him. According to official records, about 2,800 Sikhs were killed across India, including 2,100 in Delhi, during the clashes, which broke out after Indira Gandhi was assassinated by two of her Sikh bodyguards.